Clusters of marquise set diamantes and pearls hand bound into a stunning bridal hair vine design with a real Grecian feel perfect for outdoor ceremonies. 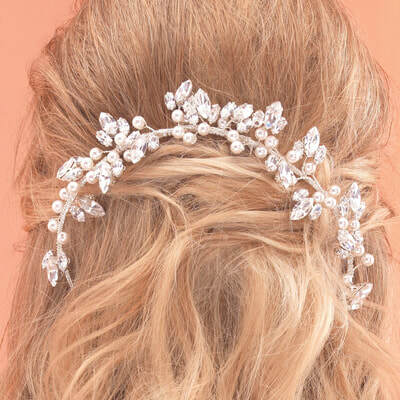 Wear as shown, frame a low bun for an elegant vintage look, or wear as a half halo. Our lightweight veil combs have been specifically designed with 2 long wire prongs so that they can comfortably be worn at the top of veil covering the comb. 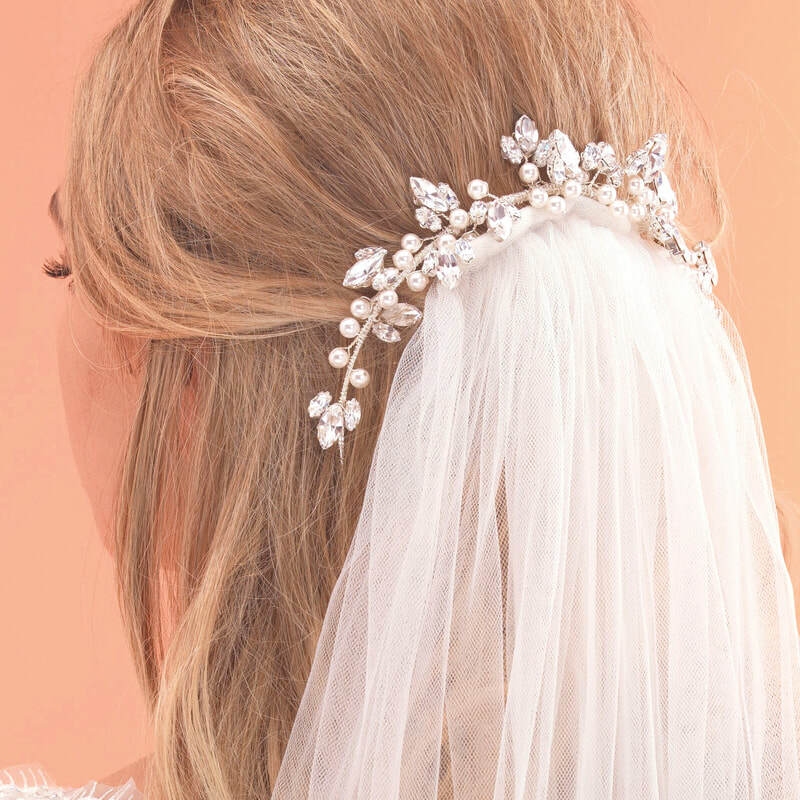 If you decide to take your veil off after the ceremony, our veil comb can be put back into the hair. Model wears AR434 in Silver with Creamrose Pearls & Silk Crystals. Shown with a plain tulle veil not included.